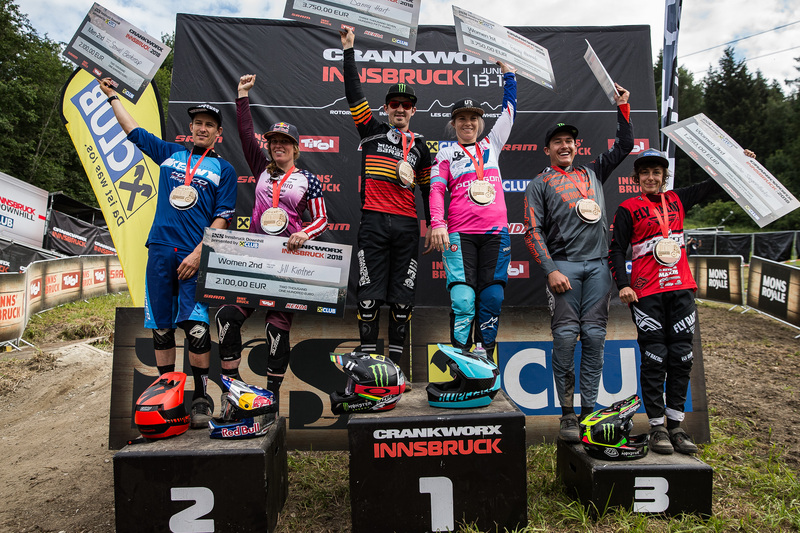 Monster Energy’s Danny Hart (GBR) took home the win this week at the Crankworx Innsbruck Downhill while Sam Reynolds (GBR) took second in the Dual Speed and Style event. 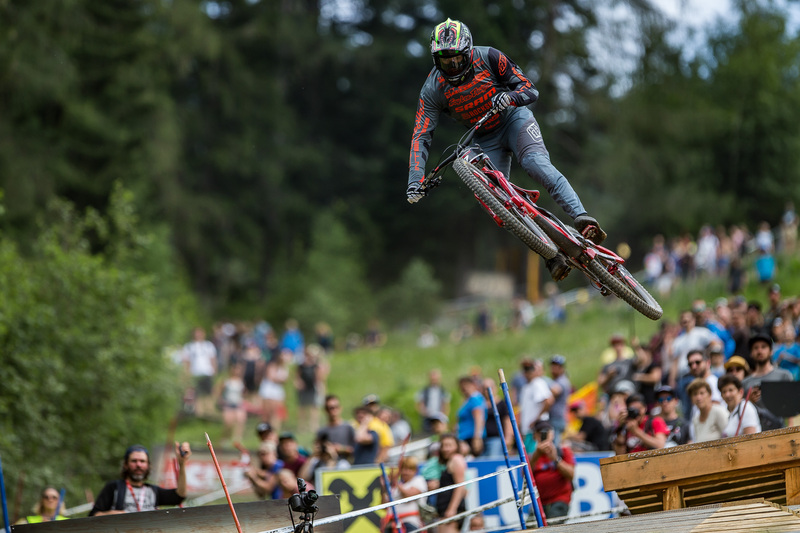 Monster Energy’s Danny Hart (GBR) took home the win this week at the Crankworx Innsbruck Downhill while Sam Reynolds (GBR) took second in the Dual Speed and Style event. 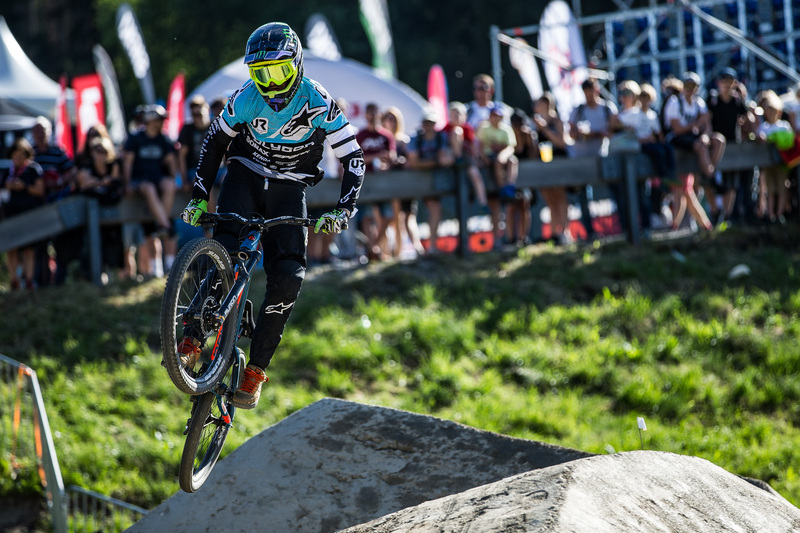 Monster Army’s Charlie Harrison scored his first real Elite podium, taking home the bronze and joining Hart up on the box at the downhill event. 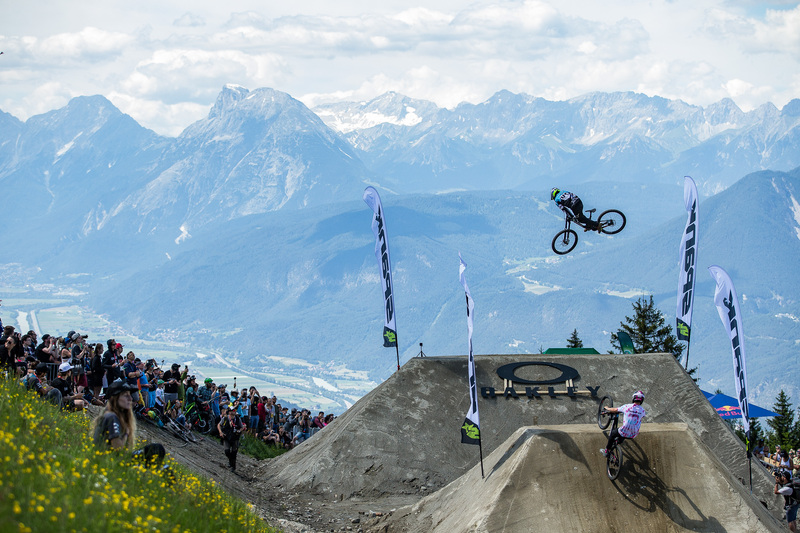 The downhill in Innsbruck is technical, loose and steep, and is a favorite amongst the athletes competing at the top level of the sport. Storms earlier in the week helped to keep the dust down, but the track dried out in time for training to get underway and by race day, the roots and ruts had come out and turned the race course into a three minute beast of a run. 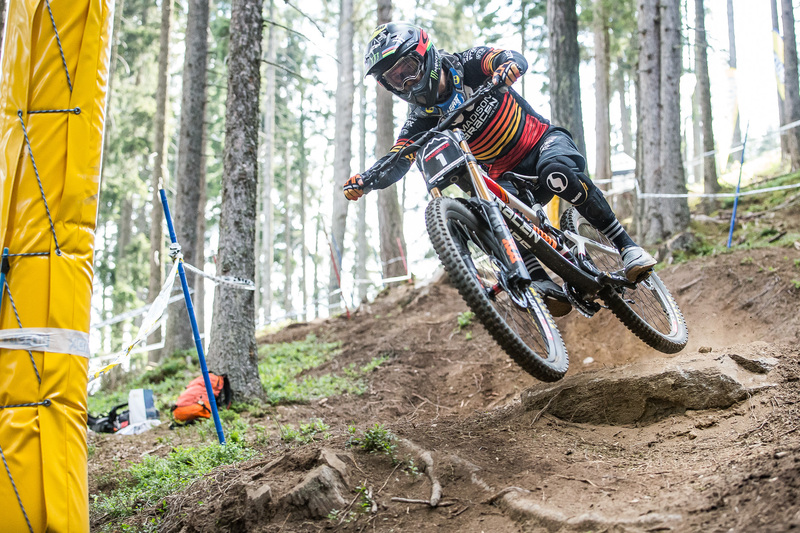 Hart was elated to defend his Crankworx downhill win. 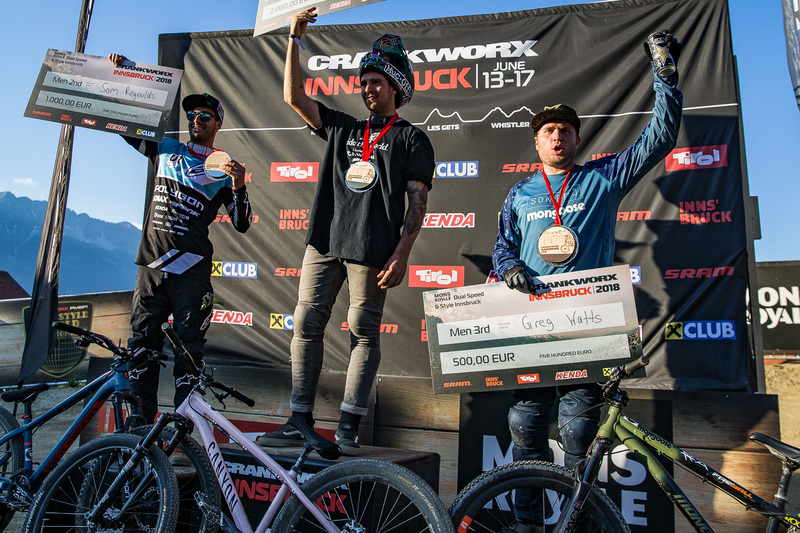 American Harrison took home his first “real” elite podium against the stacked field here in Innsbruck and was a bit at a loss for words. The Dual Speed and Style event features a mix of racers and freestyle riders and consists of a racetrack that features two large trick jumps. Riders score time bonuses for their tricks, and it can make all the difference once you hit the finish line. Reynolds made a return to the event this year after a podium last year and moved up one step, into second place. 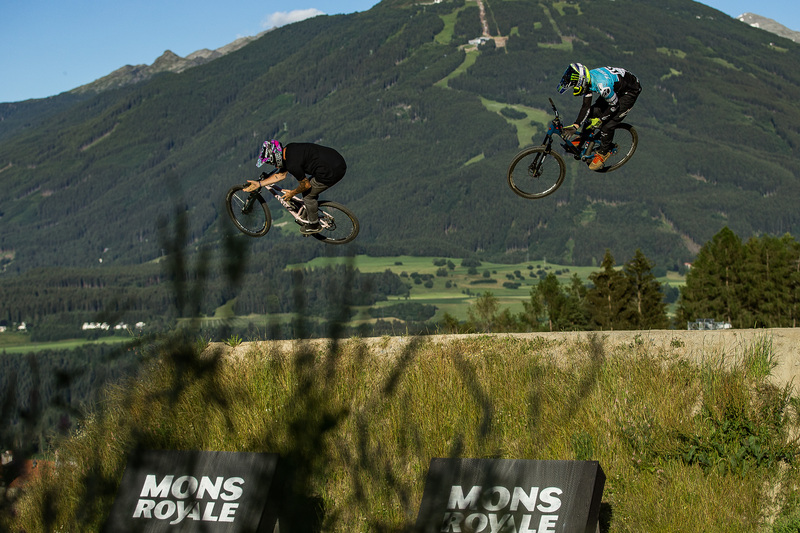 Hart and Reynolds both also competed in the Alpine Whip Off event showcasing their ability to get sideways among the towering Austrian Alps. 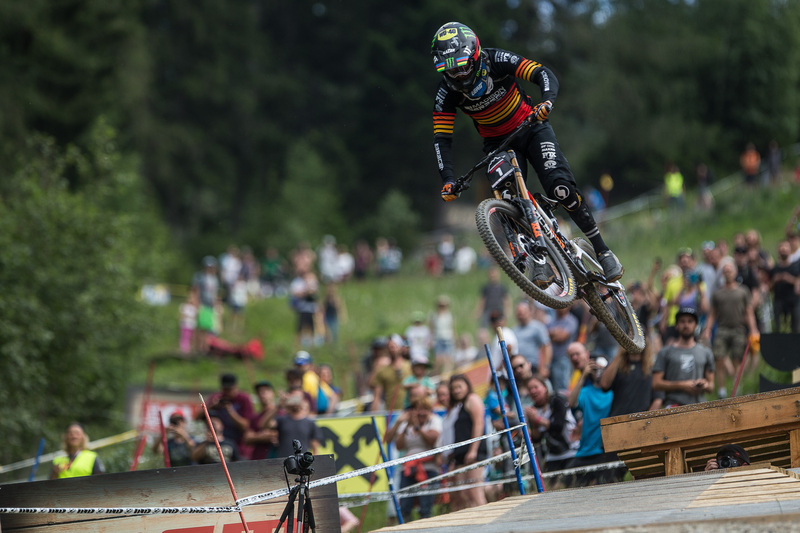 The next event on most riders schedule is in Les Gets, France for the next stop of the Crankworx World Tour June 20-24. For more on Hart, Harrison, Reynolds and the rest of the Monster Energy team visit monsterenergy.com and make sure to follow Monster Energy’s Facebook, Instagram & Twitter for exclusive updates.